Benchmark indices ended the session on a weak note, with the Nifty closing below 10,000 for the first time in nine sessions. 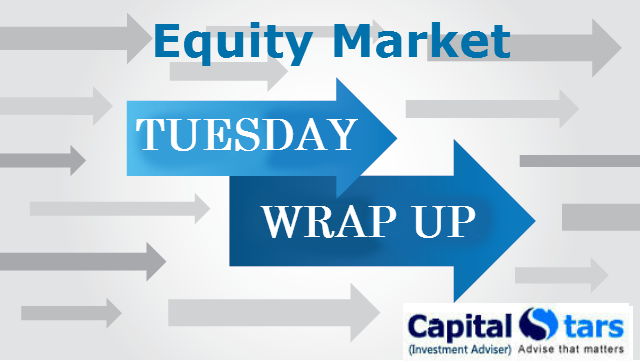 The Sensex was down 259.48 points at 32014.19, while the Nifty was down 78.85 points at 9978.55. The market breadth was negative as 602 shares advanced against a decline of 1974 shares, while 121 shares were unchanged. Financial stocks dragged the market the most, while metals gained in a weak trading session. Realty stocks too fell during the day, with HDIL and DLF falling 19 and 7 percent, respectively. Tata Steel, Cipla, Vedanta and Hindalco gained the most on both indices, while Dr Reddy’s Labs, BHEL, and BPCL were the top losers. Gabriel Q1 result beats estimates. Airtel to sell stake in Infratel. Century Textiles Q1 net profit at Rs120 cr. UPCOMING RESULT: AJANTAPHARMA, AUROPHARMA, EICHRMOT, ENGINERSIN, INDOCO, MGL, MAXFINANCE, NALCO, TUBEINVESTMENT, TATAMOTOR. 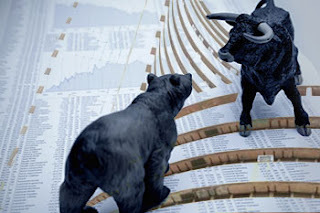 The crucial resistance for Nifty spot is now seen at 10060 and above this 10130.Support for the immediate term is now placed at 9945 and next support will be 9900.